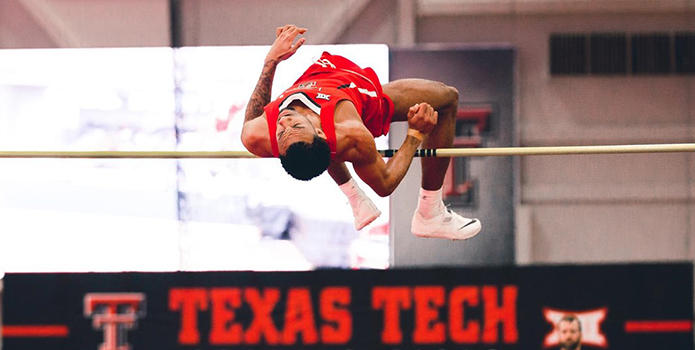 Bermudian High Jumper Jah-Nhai Perinchief set a new Meet Record to win the Texas Tech Open High Jump with a leap of 2.12m. This was only his second meet of the season after jumping 2.08m at the Texas Tech Invitational last weekend as reported by www.islandstats.com. The Texas Tech University senior moved to second on the Big 12 season rankings for 2019. The mark is some way off the 2.22m (7’-3.25”) Personal Best at the Indoor High Jump, which he set last year as a member of the University of Arkansas Razorbacks. However, Perinchief will be hoping the improvement is a sign of things to come after enduring a difficult 2018, finishing seventh at the SEC Indoor Championships and not competing at all during the Outdoor Season. He had previously spent his first two collegiate years competing for Iowa Central Community College at the NJCAA level, where he was an NJCAA Indoor High Jump and Outdoor Triple Jump Champion in 2016. He also finished third in both the NJCAA Outdoor Championships Long Jump and High Jump that same year.